Going into the 2018 Formula Drift season, Alec Hohnadell announced that he will be partnering up with the guys over at Huddy Racing. With this new Huddy Racing / Hohnadell partnership comes a few sponsor changes throughout the 2018 season. Just last week Alec released one of the many liveries he will be running this season. 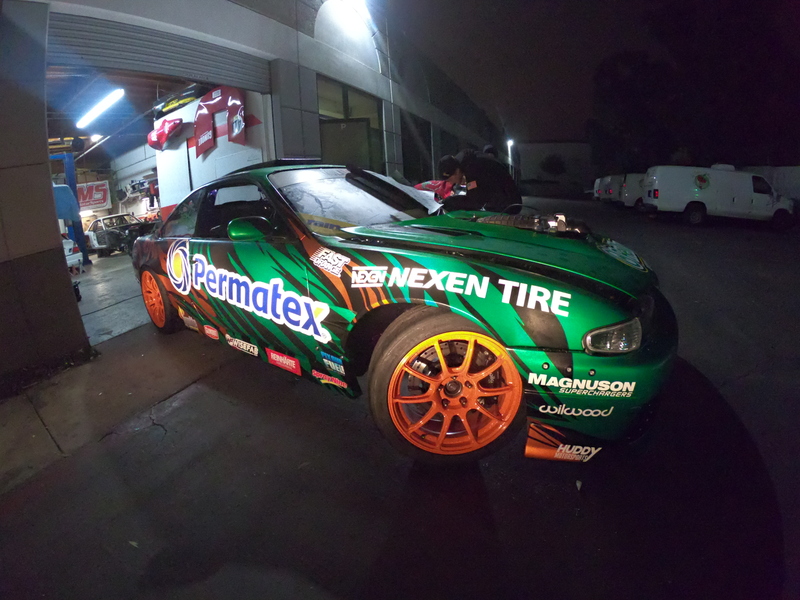 The Permatex Green and Orange livery is the design Alec will be running at the first round of Formula Drift in Long Beach, California. Over the course of the season, I’m sure we can expect a few more changes to Alec’s new theme as Huddy Racing isn’t afraid to change up the livery multiple times a season. Another noticeable difference that has been a big topic of discussion lately is: Alec will no longer be running the Kouki front end. When we asked Alec why he decided to change to the Zenki he said, “I had to bring it back to the roots. I started driving a 240sx with a Zenki & I’m ending the 240 years with a Zenki.” We don’t know if that’s suggesting this will be his last year driving a 240sx in Formula Drift. 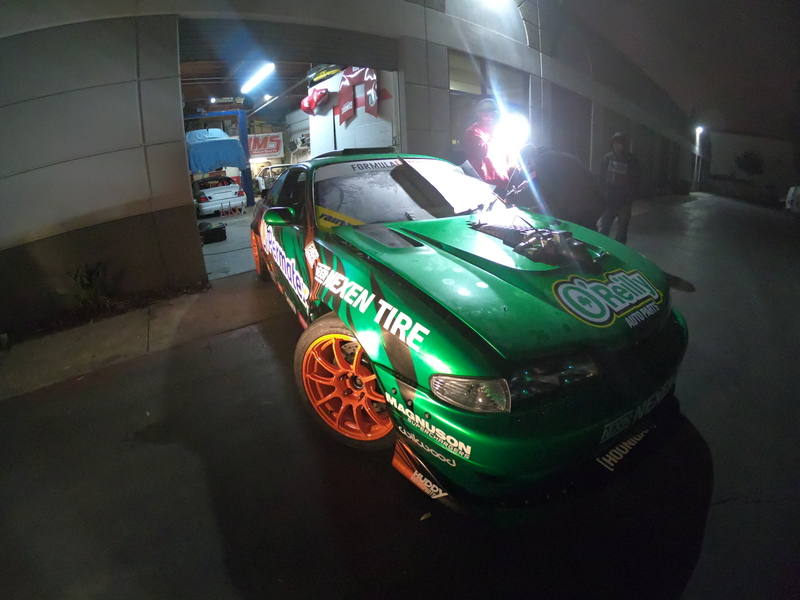 Alec has been driving the same Nissan S14 chassis for about four years now, and we wouldn’t be disappointed if Alec decided to change it up for the 2019 season. No, Formula Drift is not being sold to Nascar.